PETERSBURG, Ky. - Like most natural history museums, this one has exhibits showing dinosaurs roaming the earth. Except here, the giant reptiles share the forest with Adam and Eve. 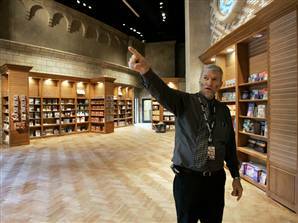 That, of course, is contradicted by science, but that’s the point of the $25 million Creation Museum rising fast in rural Kentucky.